The month of February is well-known for Groundhog's Day, Valentine's Day and of course, Presidents' Day. There are so many Presidents' Day sales out there because everyone is always looking to save a few Washingtons and Lincolns on their purchases. That being said, we would like to save you some Washingtons and Lincolns with our line of Thermoplastic Adjustable Button Handles. These handles are fully featured, but economically priced. 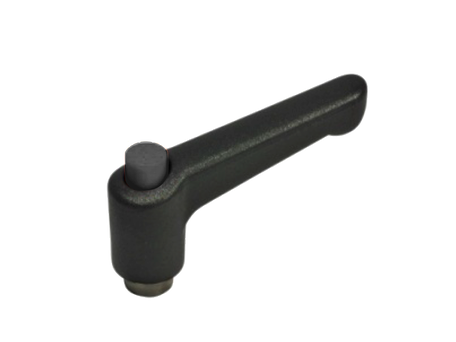 They are ergonomically designed and perfect for various industrial applications. 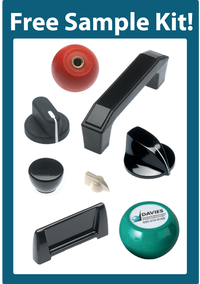 The Thermoplastic Adjustable Button Handles are constructed of glass fiber, reinforced, thermoplastic with a molded in metal insert or projecting stud. Pulling the lever upward, disengages the serrations, allowing it to be swiveled to the ideal clamping position. On releasing the lever, the serrations automatically re-engage. If you would like more information on this product or additional products that can save you some Washingtons and Lincolns, please contact us at info@daviesmolding.com or 800-554-9208.